Well, hello there, April! It's Theresa from True Life I'm a Teacher! I'm so excited to kick off the month of April here at The Primary Peach! 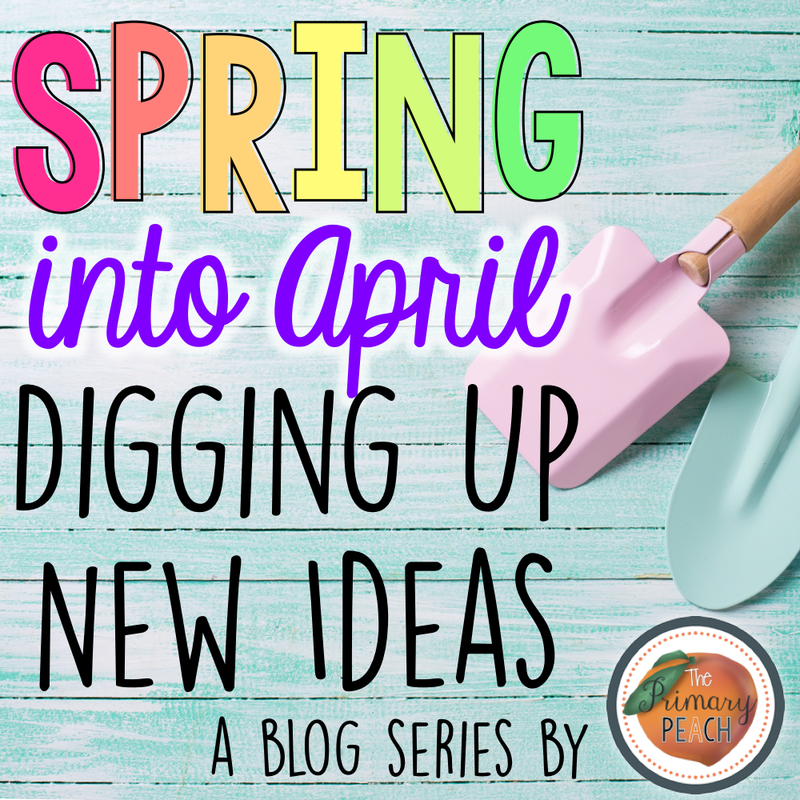 We're "Digging Up New Ideas" this month! You'll want to check back each day for something new! Plus...it's our 1 Year Blogiversary, and you aren't going to want to miss what we have in store to celebrate! You can check out my post from last month, all about how to make the most of the ERASERS in your classroom! 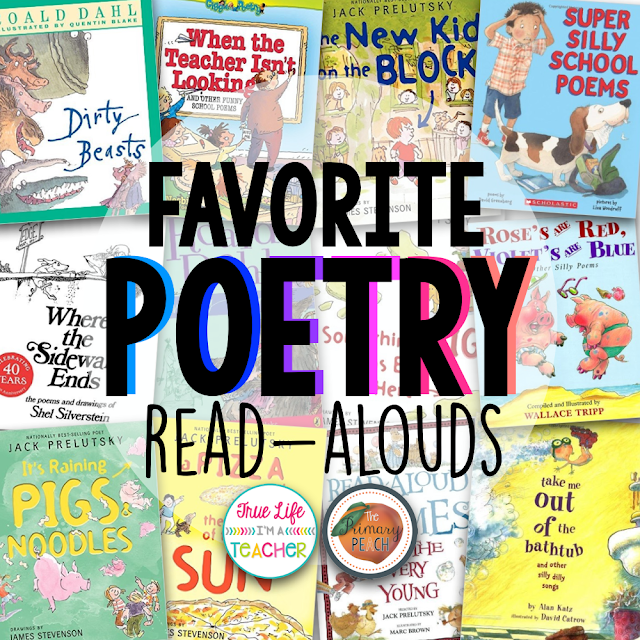 Poems are an awesome way to help students with fluency! Plus, they're just plain fun! Over the years, I've collected books that feature lots of poems that are perfect for kids! Most are pretty weird (I'm looking at you Shel Silverstein and Jack Prelutsky), but my kids LOVE them! If you're not already incorporating poems into your day, start by just reading one or two during your morning meeting. Or, read one when you realize you have don't have enough time to really start anything new, but just enough time for a revolt to happen (that's 2 minutes, in case you were wondering). If you aren't really sure where to begin, and you don't have a lot of time - you can't go wrong with Where the Sidewalk Ends by Shel Silverstein. I read it as a kid, my fourth grade teacher read it to us, and I love reading the poems to my class. 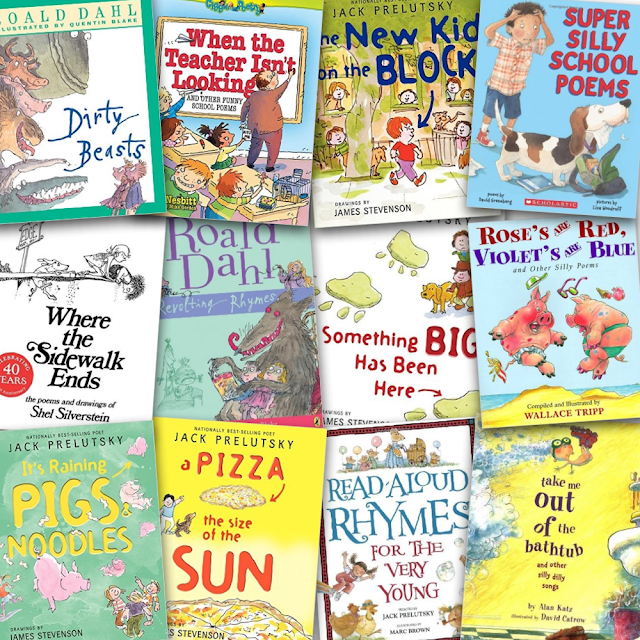 Jack Prelutsky is another author who has LOTS of books filled with poems your students will get a kick out of. Looking for something different? 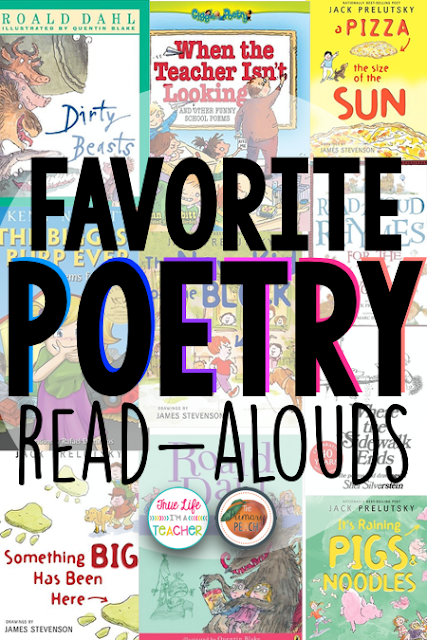 Here are my FAVORITE poetry books! Be sure to check back each day, with something new from The Primary Peach Authors! Want to pin this ideas for later? Just use the image below!